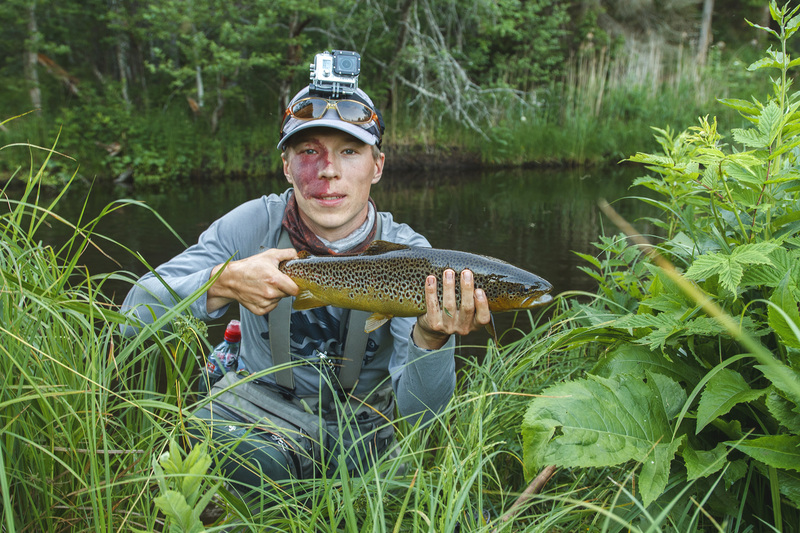 Fly fishing in Estonia for wild brown trout from scenic and undisturbed rivers is a memorable experience. We are happy to be Your fishing guide! Estonia is covered with beautiful, clean, undisturbed rivers with wild brown trout and grayling. It takes an hour drive from the centre of the capital, Tallinn, to fishing waters where you will find wild brown trout, bear trails, and rarely see any other fishermen. You can find brown trout in more than one hundred rivers and streams, and in most of them, the trout are wild. Estfly is the first and most experienced fishing guide service provider in Estonia. We have served fly fishers from all over the world since 2007. We aim to introduce beautiful Estonian nature and brown trout rivers to fly fishers from abroad. 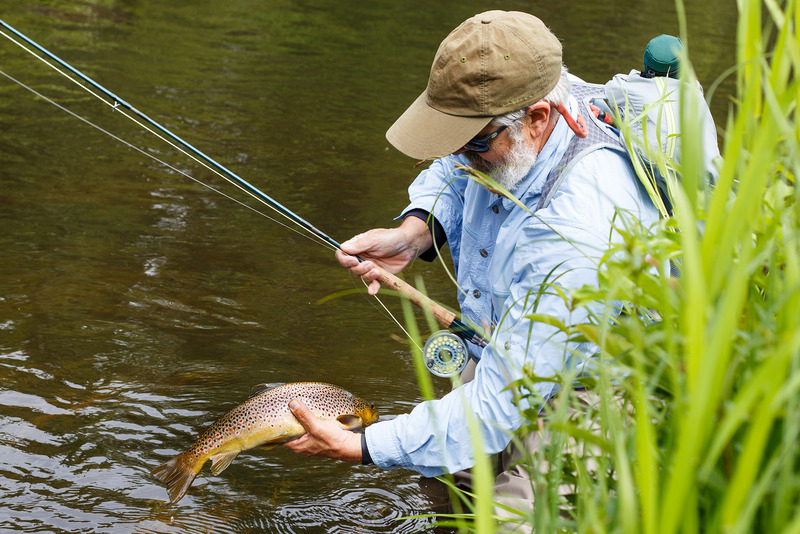 Whether you are a beginner looking to learn the basics or a seasoned angler in search of new secrets, our guides will personally tailor the best fly fishing experience Estonia has to offer. A fully guided fishing tour for up to eight people to our best brown trout rivers for two to ten days. In addition to guiding, we also provide accommodations, transportation, and fishing licenses. If you are on a business trip or visiting Tallinn on a cruise ship, a one-day or even half-day fishing trip is enough to catch some trout and experience the Estonian beautiful nature and countryside. If you are DIY fly fisher and want to discover Estonia on your own, then we would be happy to help you plan your fishing trip. We can also guide you for a day or two before you fish on your own. We caught loads of brown trouts, even though we were about a week too early for main season. Even more important is to mention how untouched Estonian nature is. Only five minutes away from the highway and you find yourself in deep conifer woods with little light and a chilling coolness and a very, very uncommon stillness. It was a fantastic experience to catch brown trouts and graylings with a fly. We fished spectacular rivers, surrounded with pristine nature and often there weren’t anyone else within many miles. Our guide’s Vahur knowledge of the area and his excellent technical skills ensured that our fishing adventure worked out in the best way. My fishing trip with Vahur in one word: Amazing. Vahur has the knowledge. The 2018 summer was one of the hottest. Most rivers where unfishable, due to the temperature. Still Vahur knew where to go. The river was wild, beautiful and cold. The trout was in the best shape. If I think about this fishing trip, it is always with a big smile. Estfly is the first and most experienced fishing guide service provider in Estonia. We have served fly fishers from all over the world since 2007. We aim to introduce beautiful Estonian nature and brown trout rivers to fly fishers from abroad.